Do I Bring a Gift To a Funeral Service? You are here: Home → Do I Bring a Gift To a Funeral Service? Attending a funeral or memorial for a friend or loved one we recently lost is an emotional time for everyone. 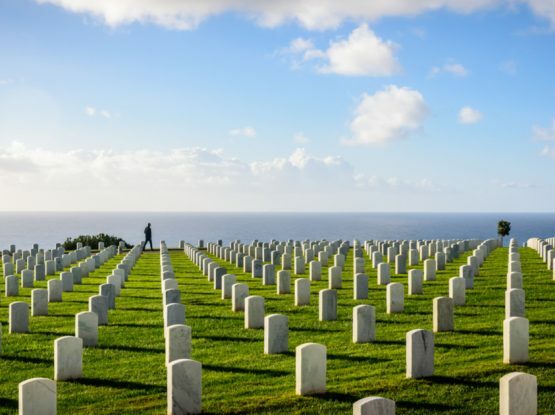 Many people hope to comfort the family members of the deceased by offering a gift, but others wonder if bringing a gift to a funeral service is appropriate. Attending a funeral is very difficult, and when words are hard to find, a gift seems like a small gesture to show how much you care for the family and your most profound condolences. Small gifts such as flowers, cards, and even food platters can be a way to show your support to the family, without being too distracting. 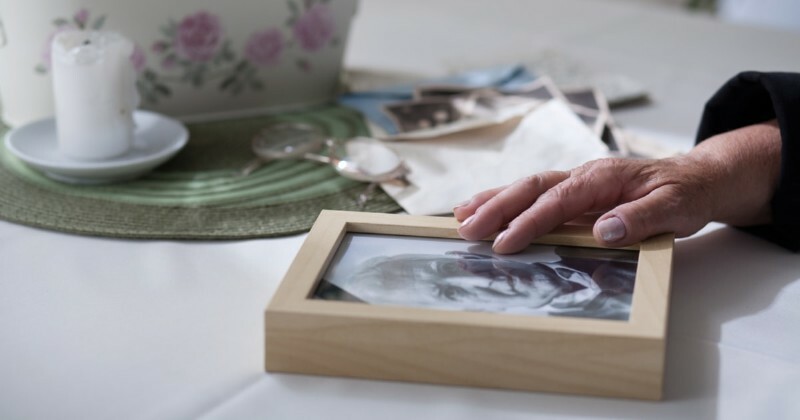 In the end, bringing a gift to a funeral service is a thoughtful gesture, but the family’s thoughts and emotions should be considered first and foremost. There are definitely some things that are appropriate to bring as a gift and other things that might be regarded as not as tactful. 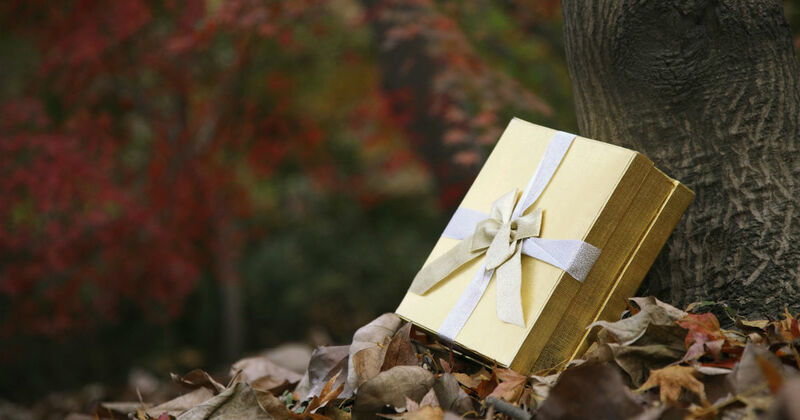 Should You Bring A Gift To a Funeral Service? It depends on the family. In some cases, families will note their reception of gifts. In this case, it’s best to honor their wishes and follow their demands. If you still believe you want to bring a gift to a funeral service, opt for a small gesture that they can later take home. If you’re planning to bring a gift to a memorial service, we’ve listed several different things to consider bringing that should be appropriate in most cases. 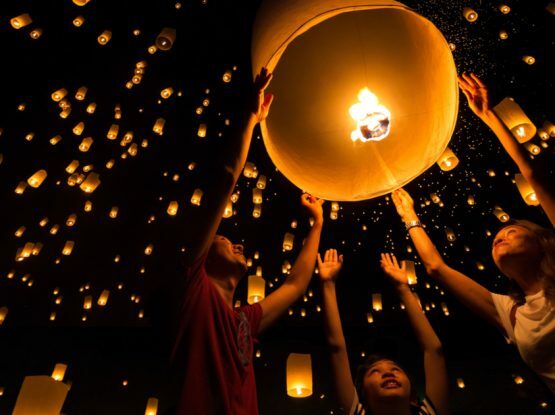 However, each funeral service is different, including traditions and religious practices, so use caution and try to consider the feelings of others. It’s also important to note that often, giving a gift a week or so after the funeral might be more appropriate. One of the most common gifts to give at a funeral, flowers help make the service look beautiful and can be prepared ahead of time after a phone call to the local florist. 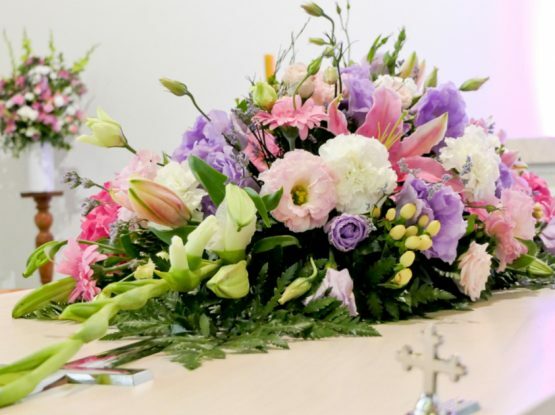 Different flowers and different colors of flowers symbolize different things at a funeral, so consider all of that before just buying the pretty ones. Carnations represent purity and innocence, and pink carnations symbolize remembrance. Chrysanthemums symbolize grief and mourning in many countries, whereas in the U.S., they are cheerful flowers. 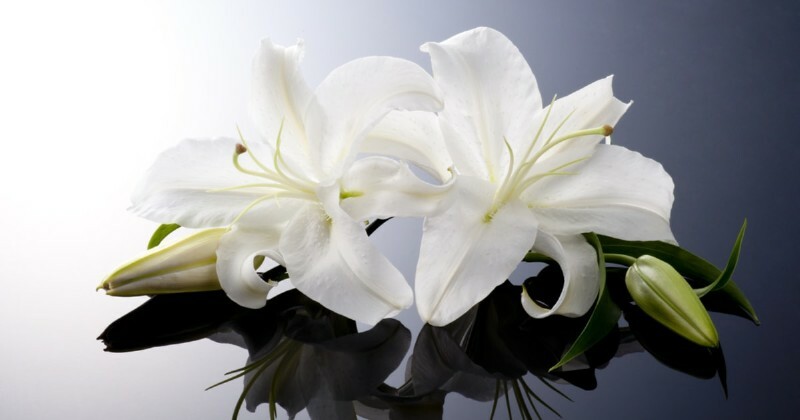 Lilies represent sympathy, and they are some of the most common funeral flowers. White roses symbolize innocence and youth, but red roses express love and respect. 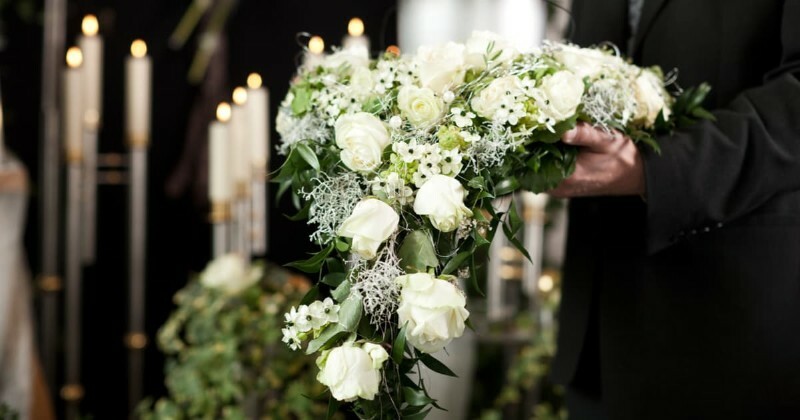 Your funeral director and your florist should have some recommendations for choosing the most appropriate flower for the type of service you are attending. Also, remember that it is not appropriate to send flowers to a Jewish funeral. 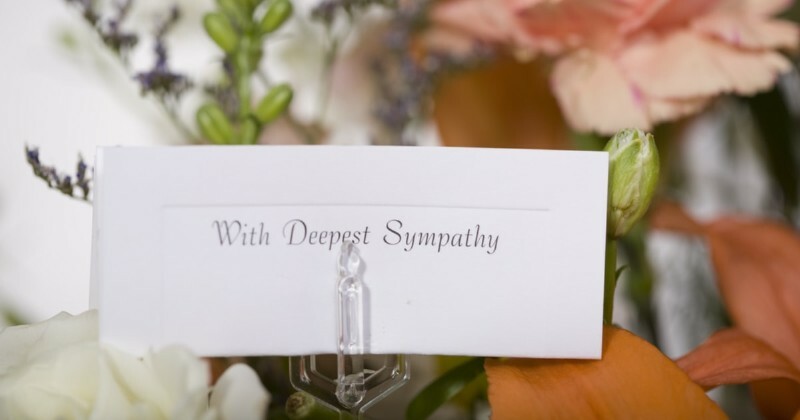 While bringing gifts can be tricky, giving a sympathy card with a simple note that explains how their family is in your thoughts and prayers can go a long way. Many people go back years later and read the sympathy cards they received after the loss of their loved one. Many times, the family of the deceased will ask for donations to a charity instead of gifts or flowers. An excellent way to let them know about your gift is to mention that you followed their wishes in a sympathy card. One gift to consider is a framed photograph of your friend – one that the family might not already have. This could be a practical gift, too, because they could choose to display it on a table during the memorial service. Planning a funeral is never an easy thing to do. Between planning the funeral and their own responsibilities, the family might not have enough time to go through everything. Reach out and enlist yourself to help in whatever way possible. Whether it’s watching the kids, running errands, or even helping with the funeral preparations, your help will mean the world to the family. As if choosing the gift wasn’t complicated enough, and the fact that you’re going through a very emotional situation, there are even more questions when it comes to choosing the proper gift for a funeral. Even when you’ve already decided on a gift, how expensive should it be? Can I ship it if I’m not attending the funeral? Can I stop by after the funeral and bring the gift? We know these are questions you might have, so we’re sharing some common gift etiquette practices when it comes to funeral services. A funeral gift doesn’t have to be extremely expensive. This is one of those situations in which the intention and thought are what truly counts. Most funeral bouquets can be found around $20 – $100 or more, that’s a good price range for your gift. However, since your thought is what counts, a single flower, a small floral bouquet, or a thoughtful card can also be appropriate gifts that are all under $20. Can You Still Bring Flowers If The Family Asked for Donations Instead of Flowers? Yes. However, to honor the family wishes, you should still plan to make a donation, and mention it to the family. Let them know you’ll honor their request for a donation, but you would still like to give something to them, so you brought flowers, or a card, or food, or chocolate, whatever it is you want to gift them. Should You Bring a Gift Even If There’s No Funeral? Not everyone hosts a funeral, sometimes families choose to host a memorial service. You can still bring a memorial gift to let the family know you’re thinking about them. The death of a loved one is extremely difficult, and a sympathy gift is an excellent way to show your support and comfort the family. If You Are Not Attending the Funeral, Should You Send The Gift? Absolutely. Even if you’re not physically present at the funeral, sending a gift is a nice way to show the family they’re in your thoughts. Even if you do attend the funeral, but didn’t have the time to get a gift, sending it after the funeral is still a good idea. The days following a funeral are incredibly overwhelming for the family. Even if your gift arrives later, the family will still be grateful to know you’re thinking of them. Should You Expect a Response from The Family? Basically, no. Of course, at some point, the family might extend their gratitude for your gift. But, don’t expect it to be any time soon after the funeral. Be patient. They’ll either thank you in their own time, they might completely forget about it, they might send thank you notes to everyone, or offer a public statement thanking everyone for their gifts. Whatever the case, don’t take it personally, the family has a lot to process after the funeral of their loved one. You might still be considering bringing a gift to a funeral service and wondering if it’s appropriate. If the funeral is being organized by the Boca Raton Funeral Home or The Gardens of Boca Raton Cemetery & Funeral Services, give them a call at (561) 989-9190 for their opinion. They have performed hundreds of funerals in South Florida and will be happy to share their thoughts on your gift choice. The Boca Raton Funeral Home and The Gardens serve the counties of Broward, Dade and Palm Beach. If you would like The Gardens to contact you regarding services, please fill out the form below to receive your FREE funeral gift guide. Previous Post What To Wear To a Hindu Funeral? Next Post What Are Death Benefits?